Commercial vehicles are important for many businesses. At Uftring Nissan in Peoria, we’ve got affordable commercial vehicles that fit your business’s needs. If you’re a business owner, you know how important it is to have transportation that you can rely on—and transportation that can accommodate your business. Whether your business depends on transporting tools, flowers or food from place to place, count on our commercial vehicle department to provide you with an incredible quality vehicle at an incredibly affordable price. Being resourceful can save you and your business money. Each of our Nissan NV Commercial Vehicles are versatile—handy in so many ways. We want to help you find the best commercial vehicle that fits your every need—from extra storage space to fuel economy. If you’re in the greater Peoria and Bloomington, IL areas, Uftring Nissan has a variety of commercial vehicle selections to choose from. 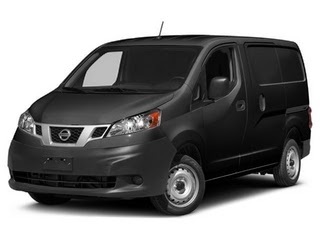 We have the 2014 Nissan NV200 in stock right now, with an estimated 24 MPG city and 25 MPG highway. The NV200 has a 2.0L reliable engine with tons of room for storage: over 122 cubic feet of cargo space. The 2013 Nissan NV Passenger NV3500 HD SV V8 and the 2013 NV Cargo NV1500 S V6 are both currently on our lot—but we only have a few left so hurry in for a test drive! The NV Passenger NV3500 and NV1500 S V6 both have a very unique exterior, and a practical and useful interior for your business needs. Full of innovative storage solutions that make life easier, you’re set to load practically anything!